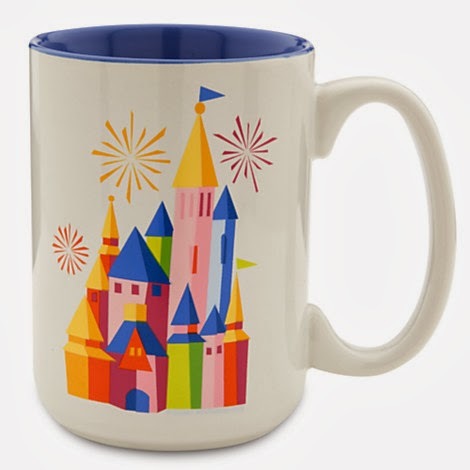 Sasaki Time: Giveaway: 2014 Disney Parks Castle Coffee Mug! Win a 2014 Disney Parks Castle Coffee Mug! Most looking forward to finding a new place to live! Because everything in this apartment is falling apart and is too expensive to live here! My youngest daughter starting school so I can have a few moments of quiet. Having an overall better year. Looking forward to happier, healthier times in 2014. I am looking forward to moving in February! I am looking forward to my next Disney Cruise! So excited! The chance to go on vacation because I din't go on vacation in 2013 or 2012. School and work have been murder! I am most looking forward to seeing my mom. I haven't seen her in 5 years. I am looking forward to a healthier diet and saving up for another trip to Disneyland! I am looking forward to enrolling in college courses to become a chef so that I can better help to provide for my family!